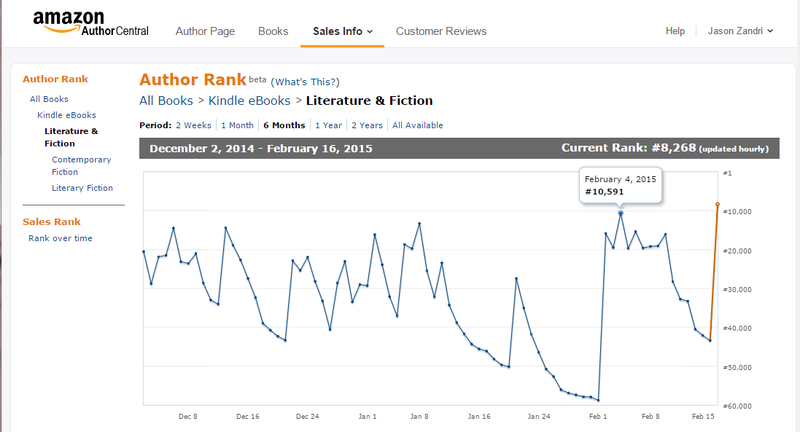 Kindle sales for Another Sunset jumped Tuesday February 17th (likely from sales the day prior) and these jumps shattered all prior sales records. 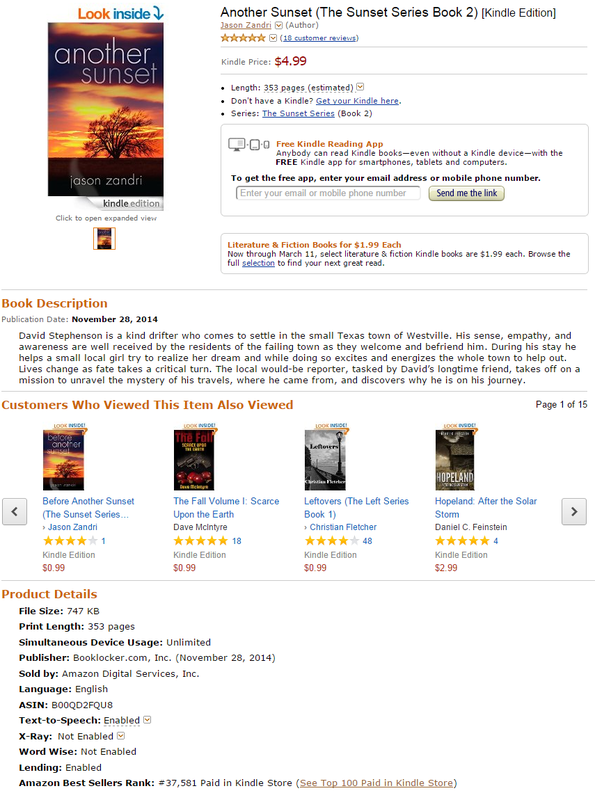 New reviews have been posted on Amazon and Goodreads and some of these sales are the likely result of those. Also, my membership and aggressive participation in the Rave Reviews Book Club is also adding to the visibility and promotion of the book in the reading community. (You can join HERE – be sure to let them know Jason Zandri / @GUNDERSTONE sent you). It is always exciting to reach new highs. Generally after hitting the new peak the number drops off but so far it’s been higher lows and then the sales swing up to new highs. 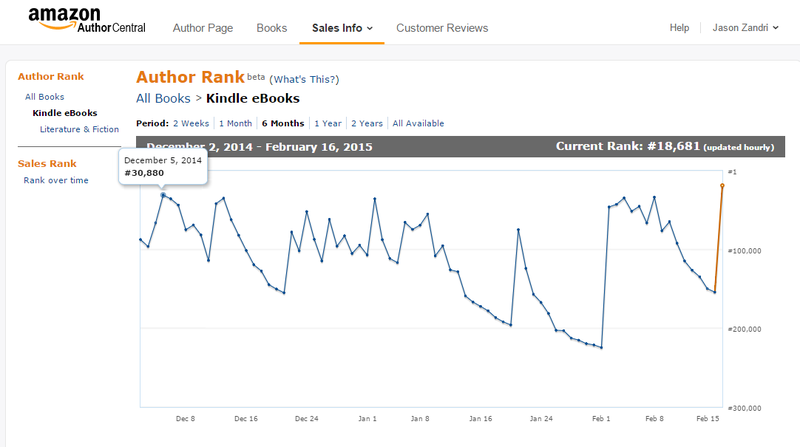 The Kindle title has been out just ten weeks and I am really excited over the momentum. 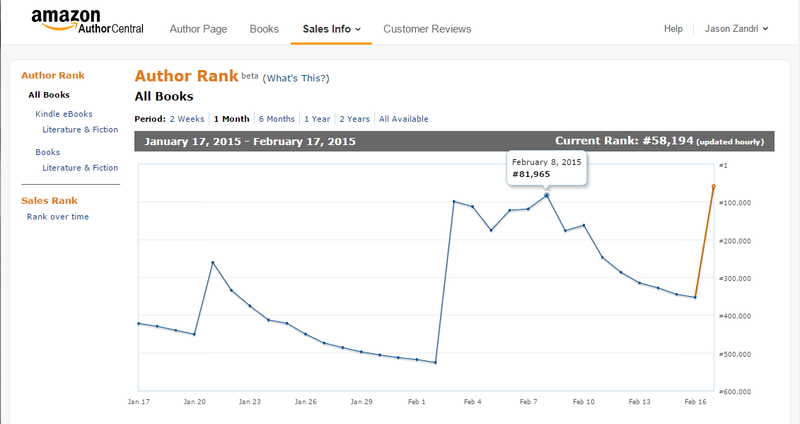 Today at the highest point the Amazon Best Sellers Rank was 37,581 in the Paid Kindle Store. 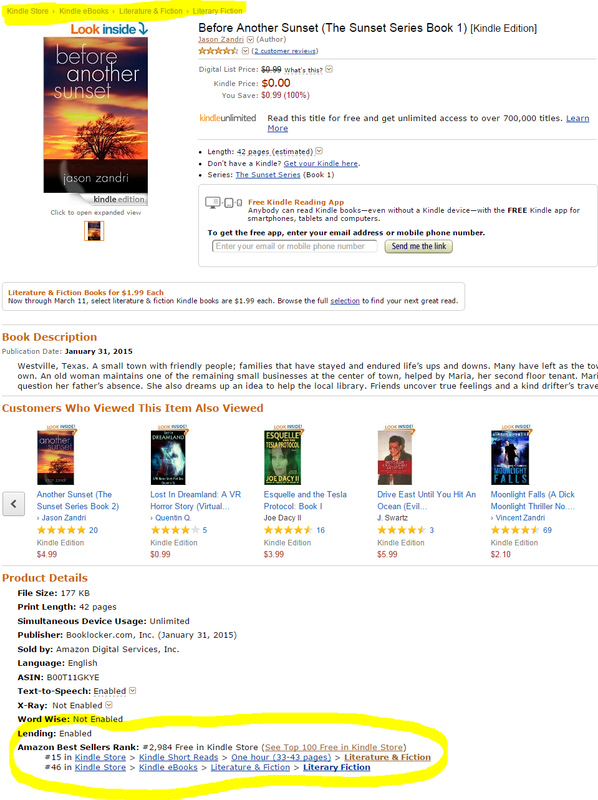 We added the book to a new category over the weekend All Books > Kindle eBooks > Literature & Fiction > Literary Fiction and it jumped on the sales to 1,357. In the ALL BOOKS rank it clipped the old number of 81,965 to reach as high as 58,194.